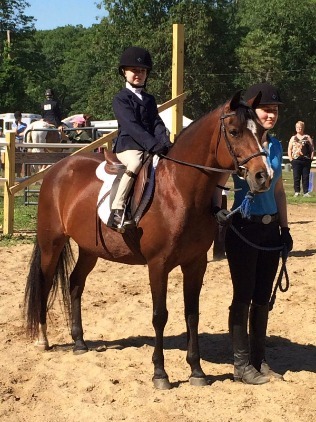 NOTE: This is a recreational riding program, not a therapeutic riding facility. We are not licensed, trained, or able to accommodate special needs (such as physical conditions, learning disabilities, or emotional issues) that may affect the ability to ride safely, independently or in a group. 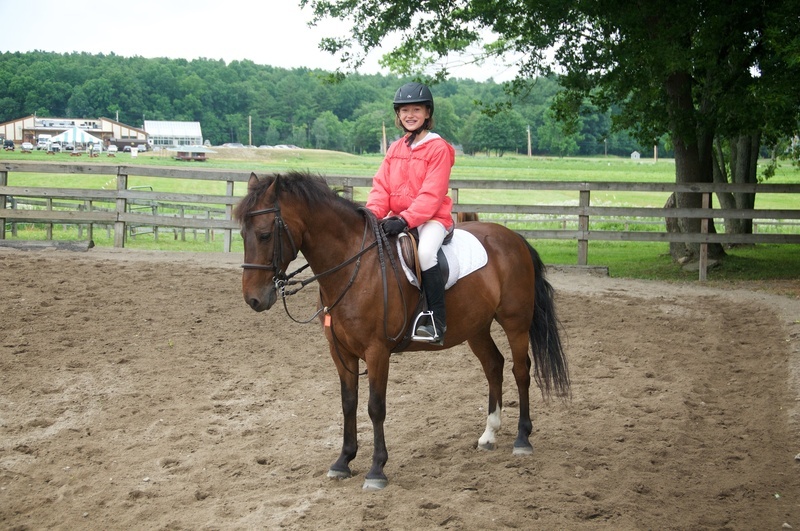 This lesson program is for riders age 8 through adult who want to learn and improve their riding skills and equitation. 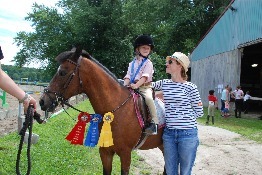 We do not offer pony rides or lunge line lessons for beginners. 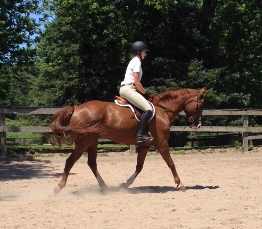 Please complete the New Rider Information/Evaluation Form and email to Amy Holbrook (holbrook.ae@gmail.com). Amy will work with you to schedule an evaluation with one of our instructors at a mutually acceptable time. ​All lessons are one hour long. 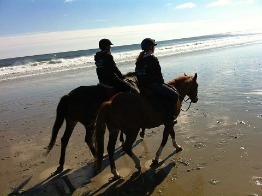 ​For beginners, grooming and tacking assistance/supervision are included in the lesson time. Please note: Stable staff may be present and available to assist with grooming and tacking, but are not responsible for supervising children before or after lessons. The instructor is responsible for the children in their care for the duration of the scheduled lesson only (not before and after), so parents should be on time to pick up children after their lesson. 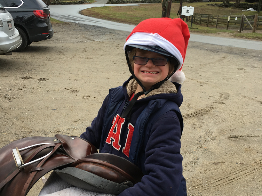 More advanced riders, once approved by the instructor, are expected to arrive 20 minutes early to groom and tack their assigned horse and to be ready to start the lesson on time. 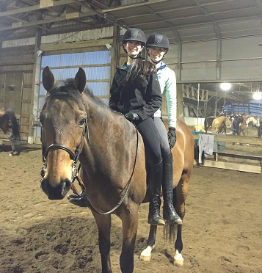 They are also responsible for untacking after the lesson, brushing down their horse, and making sure all tack and equipment are put away correctly. ​Sessions are 2 months (eg, September-October, November-December) and riders commit to weekly lessons for a full session. One absence may be discounted per session (tell your instructor the date of absence at the first lesson, and subtract that from your total payment). If you cancel more than 1 day before the lesson, you may be eligible for a make-up in another suitable lesson, if available. If you cancel within 24 hours, no make-up can be offered. ​Weather Cancellations: Instructors will notify clients of a weather cancellation by noon (Mondays/Fridays) or by 8AM (weekends). Please make sure you give us your email and emergency contact information! We will try to offer make-up options. ​Dress Code: Long pants, helmet, tee shirt or polo shirt, shoe with a heel. In cold weather, riders must be adequately dressed (eg, gloves, winter riding pants or long pants with tights/thermal underwear, hand and toe warmers, balaclava or ski hat that fits under/over helmet). 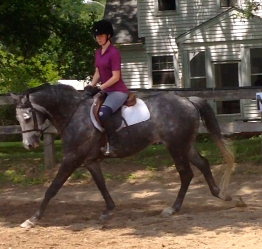 The instructor will not allow an inappropriately dressed rider into a lesson. Please note there will be no lessons February 19th - February 26th. 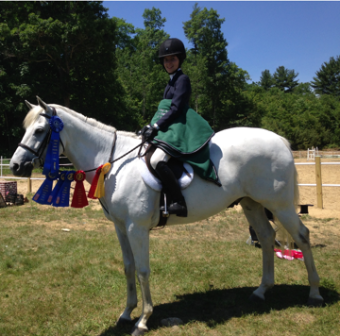 All students new to Verrill Farm Stables require a riding evaluation to determine class placement. Get started by downloading our New Rider form and return to our Lesson Coordinator - Amy Holbrook at holbrook.ae@gmail.com.